Hello, please enjoy the following information designed to teach and intrigue. Fun Time: Singer . Artist . Photographer . Cyclist . Simple Skateboarder . Driving Enthusiast . From the first breath of air to the last, our main thread of being here stems from love. When we feel good about ourselves we feel unlimited and from this space we will accomplish anything. If the heart is silenced, so is the mind. Divorce happens when the heart is silenced. It’s no longer about solutions between a couple it’s about being right. Poor Health is when the heart is silenced because you are no longer taking care of you, putting everything else first. 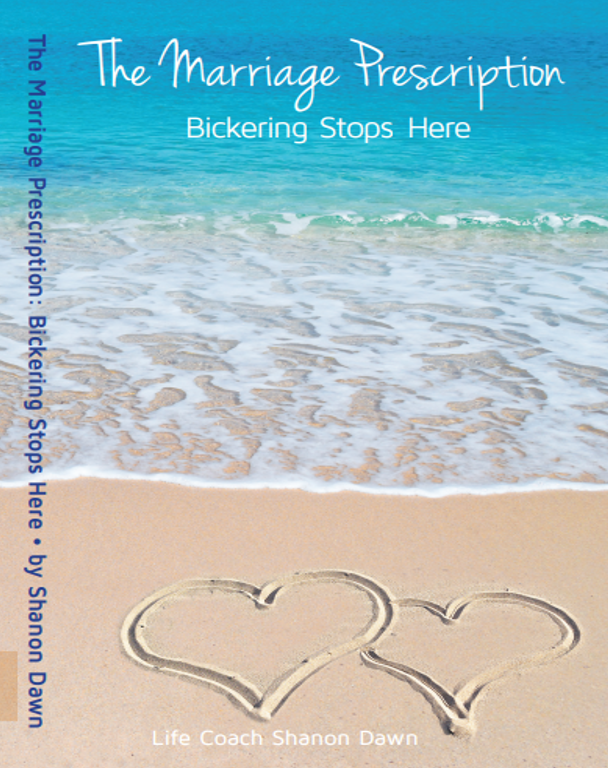 The book “The Marriage Prescription” is about getting back to the roots of cognitive awareness, love, playfulness and authenticity with your spouse and family. It’s about connecting in new ways from the past and keeping the curiosity alive. It’s a journal to write in, a conversation to be had, a memory to build from and a future that’s filled with possibilities when one or both partner’s makes the relationship a priority. To revive love, passion, authenticity and connection back to your heart, all you have to do is “remember” the last time you felt this connected. Think back as far as you can to emulate with the carefree joy you felt. This could be as far back as being a kid in the playground, the first time you tried an extreme sport, ate the perfect meal, met your spouse, felt connected to the universe….whatever that moment was for you, reconnect to that sense of aliveness and bring that feeling into the “now”. It’s once we are in the same mindset, we can bring that feeling into this moment by actually getting excited, anticipating happiness and then anchoring this “live energy” to your spouse right now. Feel that feeling of joy and think of your spouse. Do this 5 times in your mind right now, or put it in your calendar for later today. If you take this small action step seriously, do it every day this week then whenever you think, write to, or see your spouse, it will build a stronger emotional connection. It will become a habit. You will no longer need to work at reminding yourself, you will simply have an instant reaction to communicate and do things through love and kindness. What would it take for your relationship to click like this? All the wealth in the world cannot buy love. If you have the right spouse, work on self improvement and the rest should fall into place. When we set the example by upgrading our behavior, it gives our spouse the chance to reciprocate and that’s the goal. Invest in your focus, redirect your actions and use the power of your mind to shift from disconnected to attracting better outcomes. When you enjoy life, it makes each day manageable and interactions, pleasurable. I’m here to help couples and individuals connect to what’s important. To schedule a session, choose an option below, then kindly send a confidential email (please write “”appointment needed” in the subject line) to set up a time. All books are found in the menu, feel free to present testimonials on amazon, I love reading reviews. For your convenience, all Individual Life and Couple sessions are through phone or skype. If you would prefer an in person session, please chose one of the call options to get started and we will proceed from there. Thank You. This book invites couples to rediscover their unique connection through journal points, interactive conversations, new date night possibilities, acupuncture, self care, the love of children, divorce prevention, the art of a kiss and much more. It’s a short and sweet read created to invigorate a fresh outlook. This newsletter is delivered once per month to inform you of interesting relevant information to explore new ideas, set new goals, and be inspired to make those changes you know you can start in the next 120 seconds. Want to do something a bit different? Click the banner below to get started.